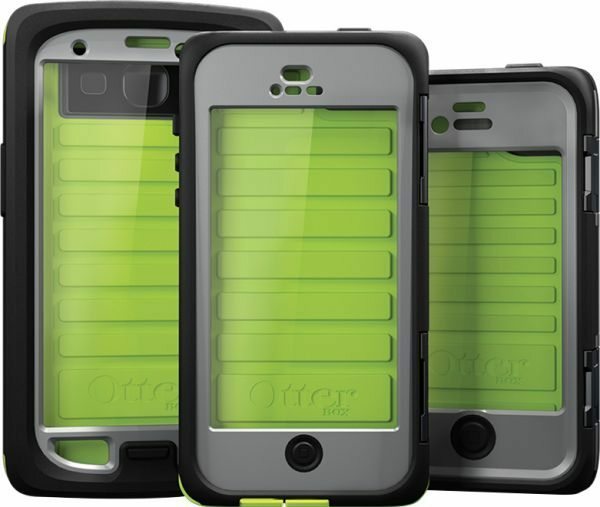 Otterbox will be releasing its new Armor Case series soon and will be available to Samsung Galaxy S3, iPhone 4, 4S and 5 users. These cases are apparently the toughest that has ever been built to date; they will retail for $99.95 and will be crush and dust-proof. The Otterbox Armor Series cases will be available for the Samsung Galaxy S3 soon but does not have a release date yet, but they will be released on February 22nd for the iPhone 4, 4S and iPhone 5. They have been built with top quality materials that can take a 10-foot drop to concrete, can last 30 minutes in 6.6 feet of water, and can withstand 2 tons of pressure. They are made with four layers that are fused together that have watertight latches; they also feature O-ring technology, mesh coverings and port covers. The covers are made of a non-permeable membrane and the mesh does not stop the sound passing through but does keep the elements out. We love the design of the Otterbox Armor Series cases with its molded bumpers and shock absorbing corners with reinforced plastic, inside the cases they have foam cushions that are soft and they come with a built-in screen protector. Main features Include: Metal latches, mesh coverings, port covers, o-ring seal and are water, drop, and dust proof. Will you be buying the new toughest ever Otterbox Armor series case for your iPhone or Samsung Galaxy S3, for more information please visit Otterbox and sign up for release date notifications. When the cases release for the iPhone 4/4S and iPhone 5 you will be able to purchase via otterbox.com, AT&T retail locations and ATT.com. Colors: iPhone 4/4S: Neon (slate gray outside with glow green inside), iPhone 5: Arctic (white outside and breeze blue inside), iPhone 5: Neon (slate gray outside with glow green inside), iPhone 5: Electric Orange (gunmetal gray outside and crush orange inside), Galaxy S3: Arctic (white outside and breeze blue inside) and Galaxy S3: Neon (slate gray outside with glow green inside) — Please do watch the video we have provided below. WHEN DOES IT COME OUT FOR THE GS3 AHHHHH!!!!!!!!!!!!!!!!!! !